A Smile Is All You Need! What’s the first thing you notice about a person? Their smile is a common answer. Smiling is such a valuable business asset. As Jay Danzie says, “Your smile is your logo, your personality is your business card, how you leave others feeling after having an experience with you becomes your trademark”. Think about this quote – Your smile is your logo. Did you know that people who smile appear as more likeable, courteous and even competent? How is your logo today? Remember this quote from Connie Stevens, “Nothing you wear is more important than your smile”. Yes…business and life can be tough, but make it easier on yourself, your clients and those elusive prospects – smile. Let them know you enjoy what you do and can’t wait to deliver their goods or provide a unique idea. It’s simple, sales and customer service begins and ends with a smile. It leaves me wondering, what happened to all of the smiles? We need to be able to separate our personal life and business life, remembering not to take our personal issues to work. Also, we need to be able to separate business issues from each other – if you just got off the phone with a problem order and the phone rings, leave the problem on the desk and don’t carry it with you on the next call. This reminds me of my time as a restaurant owner, if I had a table with a problem, it’s not the fault of the table next to them. I needed to greet and help them with a smile and don’t let others turn my smile upside down. How do you establish rapport in an instant? One obvious but sometimes overlooked tip: offer up a smile. 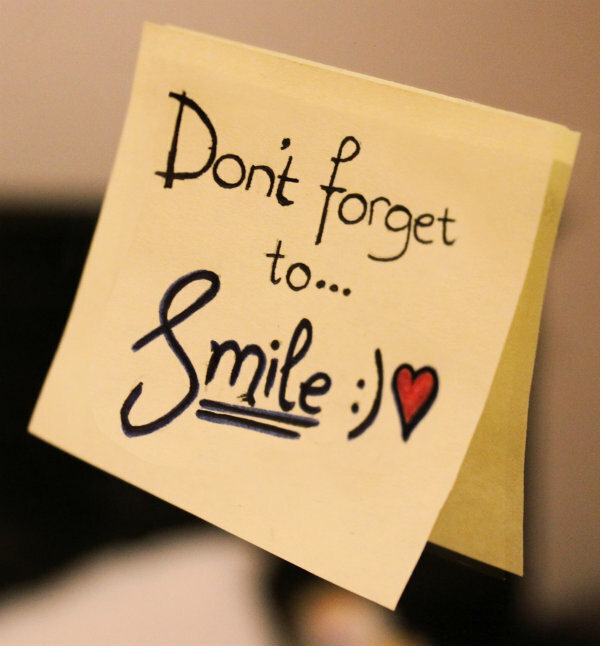 A smile is one of the most basic and universal indicators of openness, friendliness, relaxation, and likeability. Smiles are contagious – customers and your business thrive on it. Do you smile while you’re talking about what you do? Do you smile even when you’re on a phone call and the other person can’t see you? Are you smiling in your professional headshot or profile photos on social networks? Do you know how many times you’ve smiled so far today? For a smile to be effective, sincerity counts. If a smile is clearly forced or false, it will do more damage than good. Did you know it takes 43 muscles to frown, but only 17 to smile? Smiles over the phone might be unseen, but they are most definitely heard. Since 84% of the message over a phone is your tone of voice, making sure that “smiling tone” comes through is imperative. I was given a mirror once for my desk, told to look at myself and SMILE when on the phone. It works. Have you tried it? Remember, everyone smiles in the same language. Smiles, aka Emoji’s, are taking on the world. Not only do we love to see smiles in person but we also love to receive digital smiles. We all like to receive emails or texts with a smiling emoji or an email with a smiley face. I have to admit it always makes me smile to see it and brightens my mood. The same goes with social media, we “like” or use one of the emoji reactions on our friends postings. Emoji’s help people communicate their emotions, they bring a fun element to texting and social media to help people share their feelings. A picture is worth a thousand words. A smile is worth a thousand bucks. The retail market is full of emoji’s and smiley face items and we continue to see more and more products available in our industry to promote this growing trend. Make a cool brand statement during your next promotion campaign with a fun smile campaign. Turn smiles into success and contact us today to help you plan a fun promotion or campaign today!